If Song of the Elves is added to the game, should completion of the quest grant access to the elven capital of Prifddinas? 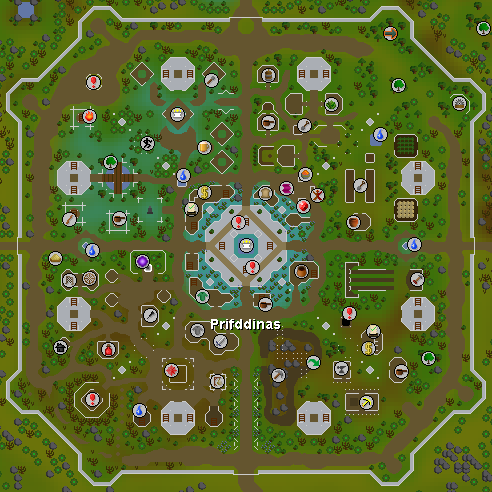 If Prifddinas is added to the game, should it include a new Player-owned house location? Moving a house here would require completion of Song of the Elves, 70 Construction and 50,000 coins. If Prifddinas is added to the game, should it include some Teak and Mahogany trees? There would be three Teak trees and two Mahogany trees. If Prifddinas is added to the game, should it include a new Sawmill? This Sawmill would be further away from a bank than the one in the Woodcutting Guild. However, if the above question passes, it would be the closest Sawmill to Teak and Mahogany trees. If Prifddinas is added to the game, should it include a new Herb Patch? This Herb Patch would require completion of Song of the Elves and 70 Farming. If Prifddinas is added to the game, should it include new Soft clay rocks? These rocks would work exactly like clay rocks but would give Soft clay instead of clay. Wearing a Bracelet of clay whist mining Soft clay would grant two Soft clay instead of one for every successful mine. These would require Song of the Elves and 70 Mining. If Prifddinas is added to the game, should it include the Gauntlet, a brand-new solo PvM challenge? If the Gauntlet is added to the game, should it have a chance of giving Crystal armour seeds as a reward? These Crystal armour seeds could be used to create Crystal Armour. If Prifddinas is added to the game, should it include Zalcano, a brand-new boss that can only be defeated through skilling? If Zalcano is added to the game, should she have a chance of dropping Crystal equipment seeds as a reward? These Crystal equipment seeds could be used to create Crystal Pickaxes, Crystal Axes and Crystal Harpoons.